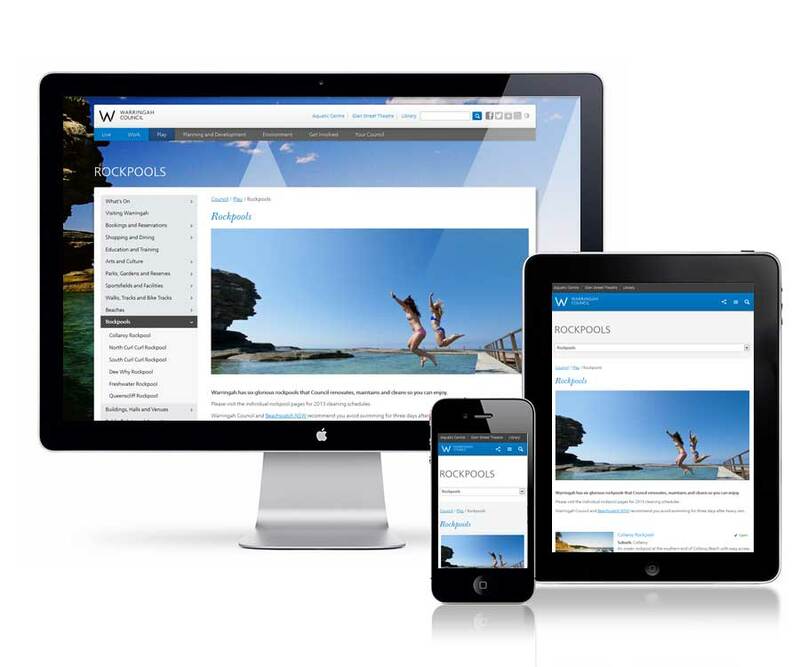 Demonz Media undertook a large scale website redevelopment project to redefine and reposition the Warringah Council as the home of recreation. Since launching on June 1st, the site has received great feedback from the council and community alike. 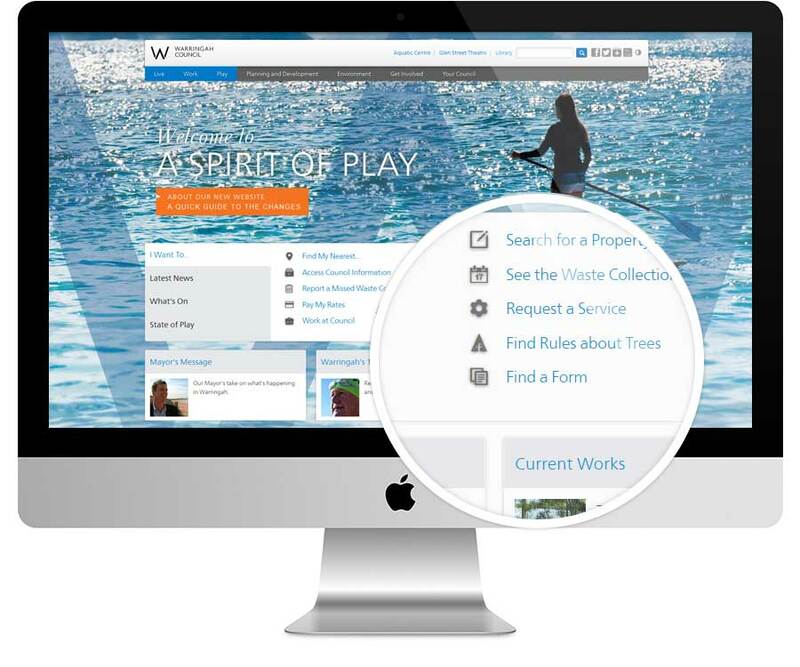 The project has been a great success in exponentially increasing the quality, consistency and look & feel of Warringah council’s information whilst making significant reductions in the effort required for council staff to maintain up to date content. 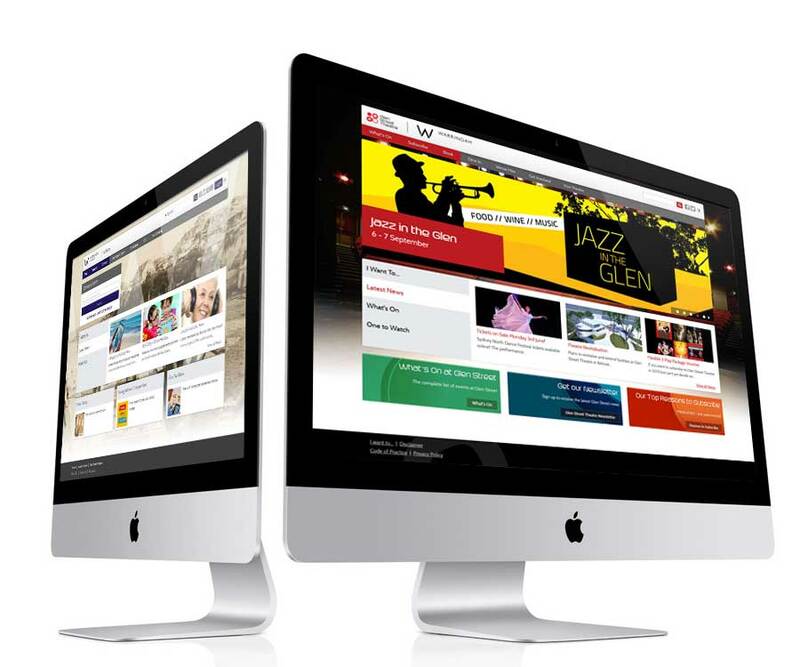 One of the key features is multisite support – Warringah Council, Warringah Library, Aquatic Centre & Glen Street Theatre all run from the same single backend. Creatively, we managed to achieve consistent branding across all micro sites yet give them their own unique look & feel. We also added support for desktop, wide desktop, tablets & mobiles (portrait & landscape modes) including support for high density pixel ratios ("retina display") such as the iPad 3 and the new Macbook Pro. The site also features some great workflow automation: auto generated adaptive layout & thumbnails, auto geo coding with support for Google maps, auto generation of list pages with summaries, teasers & pagers, auto generation of navigation, breadcrumb trails and human friendly urls. In terms of administrative functionality, we added support for complex author-editor-publisher workflow process across different departments so that content can be properly audited and controlled before publication. Ability to filter by different categories and layers.